The Mya Staff hookah continues the Mya tradition of beautiful, innovative, and well made hookahs. The most unique feature of this hookah is it's interlocking, threaded shaft-base design which eliminates the need for a base gasket. The shaft of the Mya Staff is beautifully adorned with cloisonne enamel work and the Mya Staff will come with matching cloisonne hoses as well. 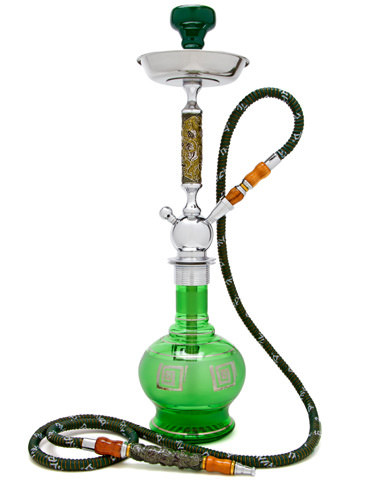 25" MYA Staff Hookah has a average rating of 0 stars out of 5 stars based on 0 reviews.